Dr. Alper’s comprehensive approach involves a team of top local specialists, continual education and the use of ground-breaking technology, ensuring his patients always receive the highest quality care available.His commitment to continuing education through frequent participation in advanced hands-on courses, lectures and self-study was recently recognized by the New York Dental Society. Dr. Alper believes that the better his awareness of what is new and innovative in dental techniques, the better the services that he can provide to his patients.Whether you are looking for an entire cosmetic renovation or a general dentist for your regular cleanings and checkups, Dr. Alper and his staff will provide these services using state-of-the-art technology, efficiency and in an open environment. Taken early! And out in no time. Very good experience. He was friendly and professional. Love Dr.Alper and his team. A great visit every time. I cannot speak more highly of Dr. Alper, his assistant and also Amy, his receptionist. They always are so accommodating and most importantly, amazing at keeping my teeth healthy! Dr. Alper and his assistant Patrick are top notch! Great experience. After a painful experience over 5 yrs ago, I was terrified to go back to the dentist. I scheduled an appointment for a dental exam and cleaning based on the reviews here on ZocDoc and I am glad I did. Therewas absolutely no wait time and I was called in before I could even take my coat off. My hygienist Sarah was excellent, gentle (but thorough) and extremely personable. 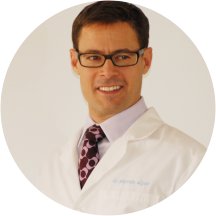 Dr. Alper made me feel very comfortable and answered all of my questions. I highly recommend. I did not see Steven Alper today. Only the hygienist. Doctor Alper was very nice and took the time to explain my situation, the hygienist was also very nice and knowledgeable. I didn't have to wait to have my cleaning and discuss with the doctor afterwards. I will definitely go back there and recommend to friends and family. Fantastic appointment. Dr. Alper himself did the cleaning! Staff was friendly however the cleaning was much too fast and did not feel complete at all. My previous hygenist would spend at least 30 min on cleaning, this lady might have spent 10 minutes which is poor since I am paying for a full cleaning. Best dentist experience I have ever had. As a new patient- everything was wonderful! The office staff is friendly, organized, and accessible via email . Huge plus that insurance was looked up before! The hygeneist is lovely and skilled - witha quick and painless cleaning. And Dr Alper is very knowledgable and so kind in taking time to be fully present and answer questions and concerns, as well as propose solutions and clear plans to solve issues. Really felt my concerns were heard and confident they will be addressed. Advanced technology also appreciated (X-rays and cleaning were a breeze). Will definitely be coming back and recommending! Best dental visit I have ever had. Polite , courteous and totally professional. Having had many dentists in my life he has been th ebest. He was very professional as I was seen as an emergency new patient who ended up needing a root canal. He sent me right away to an endodontist and even ensured that I had some Advil to take for the painbetween my visit from him to the other physician. Outstanding service and very nice, professional receptionist. Dr.Alper was great and Sara the dental assistant was especially lovely. I would recommend this dental office to anyone. Dr. Alper and staff are great. Thoroughly modern in design, equipment and attitude. Everyone communicates well and I appreciate the transparency in regards to cost. They don't participate in my insurance plan, and I've found this means a littlehigher co-pay than if I stay in-network, but it's well worth it to me. They still take care of all insurance billing seamlessly. I also appreciate the electronic Novocain machine Dr. Alper uses - there is no syringe and it's absolutely painless. Terrific, I rarely appreciate dentists but really liked Dr. Steve and also Sarah was amazing. And Amy at reception was awesome. Loved my appointment with Dr. Alper! No wait time, staff was friendly, and I never felt rushed - Dr. Alper took time to explain what work I needed and answer my questions. Will definitely be back! Dr. Alper is awesome! High-quality dentistry. Dr. Steven Alper, DMD has no appointments on Zocdoc right now.